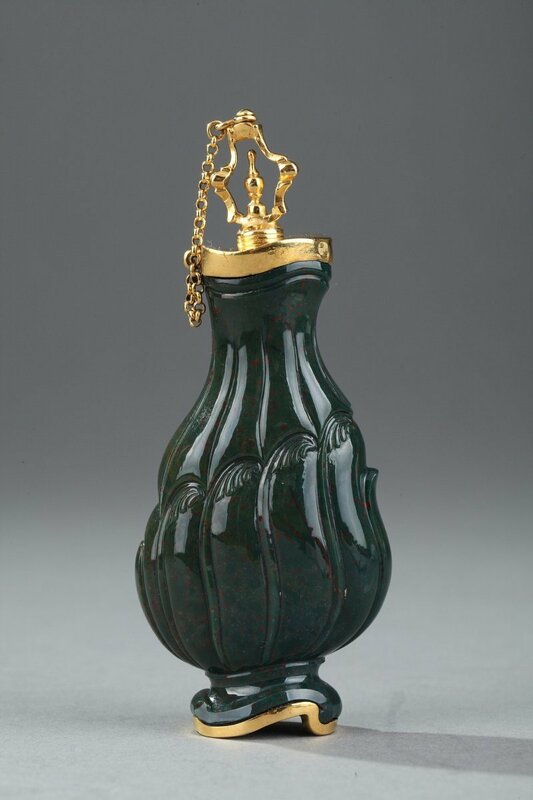 AnticStore > Catalogue > Objects of Vertu > 18th century > Jasper and Gold Flask 18th Century. English Craftsmanship. Jasper and Gold Flask 18th Century. English Craftsmanship. 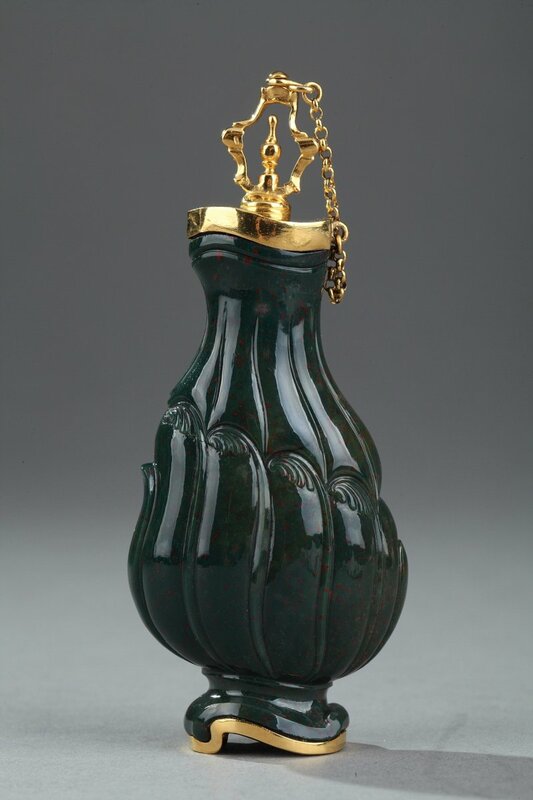 Exceptional pear-shaped flask in heliotrope, also known as bloodstone jasper. 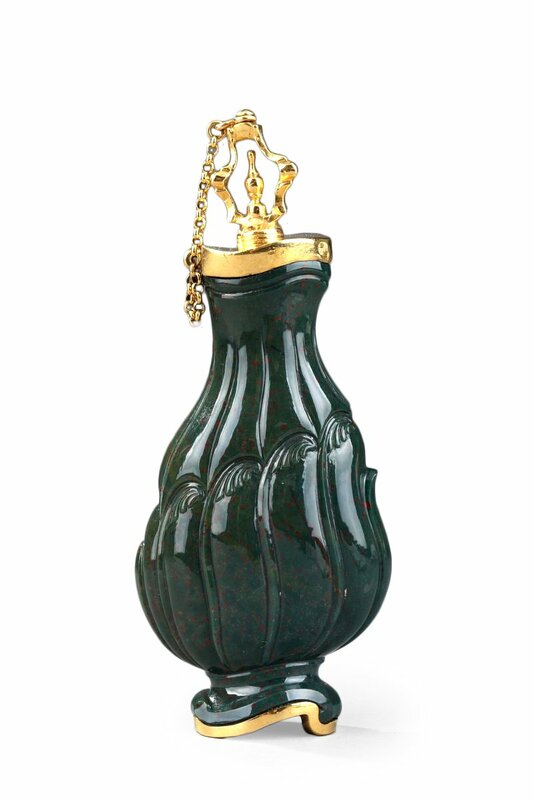 The body of the flask intricately sculpted with gadrooning and Rocaille motifs. 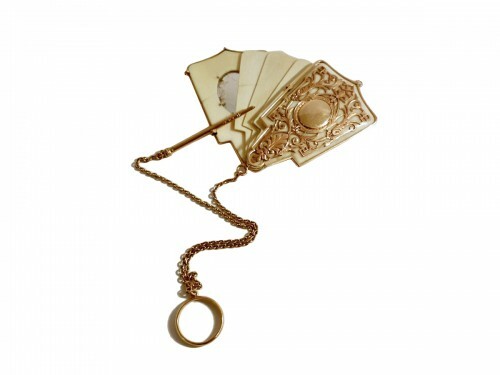 A band of gold encircles the neck and base of the flask, and the openwork, gold stopper is connected to the neck with a thin, gold chain. 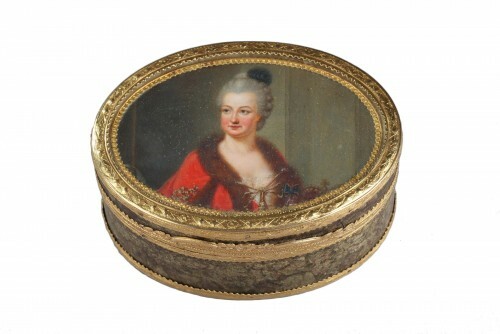 Jasper has been in use since ancient times as a material for artistic sculpting. During the 18th century, this stone was often used for creating snuff boxes and perfume flasks in England and Germany. During the 18th century, the helotropim peruvianum plant was acclimated to Europe and perfume from its flower was included in the composition of numerous fragrances. 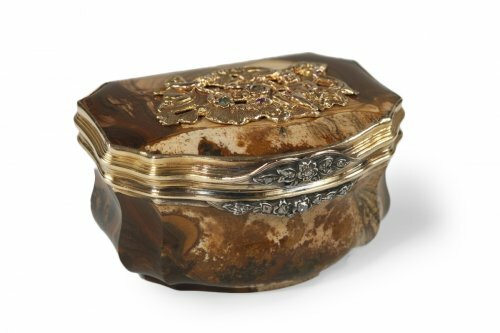 This piece, then, is made of heliotrope and was used to store heliotrope, a play on words that would not be lost on its original audience. Traces of gold marks are now illegible. 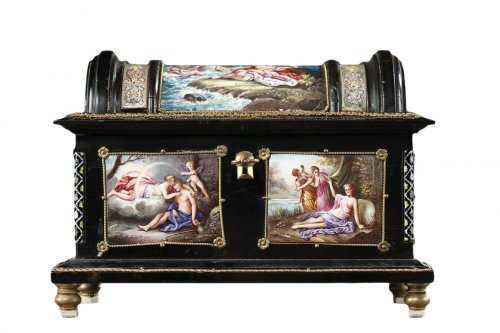 English craftsmanship from the late 18th century.